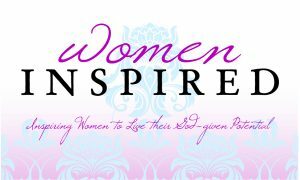 The Colorado Springs Conference officially launches Women Inspired for 2012. Enjoy listening to dynamic keynote messages from ALL SEVEN of the Women Inspired’s National Speaker Team: Sandra Aldrich, Lorraine Pintus, Kendra Smiley, Shannon Ethridge, Tammy Maltby, Jill Swanson, and Julie Gorman. One lucky winner will receive an Exclusive Women Inspired Membership. Every attendee will receive a conference notebook, lunch and be entered for additional prizes. Jill Swanson, image coach, style consultant, speaker, and the author of Simply Beautiful Inside & Out, Simply Scarves, and Simply Closets.